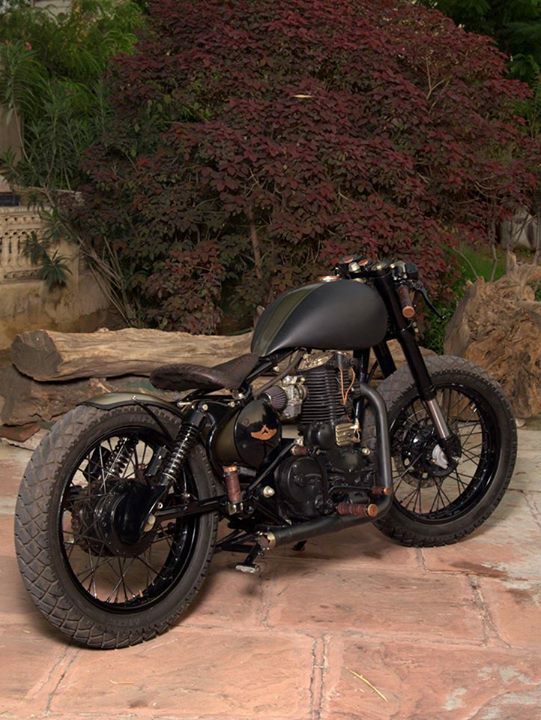 Rajputana Customs Motorcycles are known for the Unique exotic modifications on bike. Their bikes naming also shows typical Indian flavour in their designs. This one known as Nawab which means a "King". The Bike used for this modification is Royal Enfield 350cc. Bike has given classic matte finish paint. Bobber in style with one single seat. Handle bar are also short. 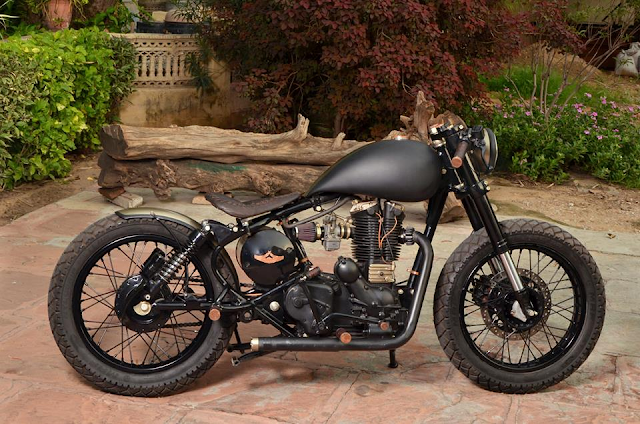 Rajputana Customs will take 10 weeks time to convert your Royal Enfield 350 or 500 cc into this nawab. The modification cost will be Rs. 3.75 Lakhs. Customer has to provide donor bike to them. Wanna Know more about this bike contact us through message or comment.